She said she posted it by the popular demand (of one), but I also was glad she posted it (so increase the count to two, Susannah! ), and followed the link to another blog post that was critical of her presentation at the Health 2.0 conference. In that post, the author said, “is Fox actually disagreeing with those who think it wiser to seek advice from physicians than to take seriously medical advice received from anonymous strangers in internet chat rooms?” and I wanted to comment on this as someone sitting in the audience (and who got to catch up with Susannah shortly before she went on stage – ok, so I am disclosing that I am a fan). I think what Susannah was responding to, and somewhat verified in David Rothman’s post is the binary-ness of the argument, that it’s either your doctor or the Internet, not both. The first question I ask when I wonder about behavior is (in true LEAN tradition) “why?” Why would a patient access information outside of their physician relationship? We can guess at many reasons, including that they don’t have access to a doctor, or the doctor they do have access to has not given them the information they are looking for. At some level, there is a trust issue involved, and if we use the Edelman Trust Barometer as one piece of data, it is that patients are more likely to trust “someone like me” than their doctor. It’s impressive that we’ve come to this. The study is, I would say, on the incredible side. 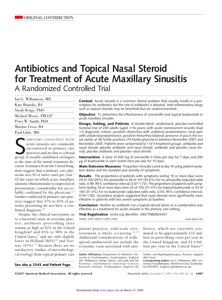 It challenges one of the most commonly held notions in primary care, that sinus symptoms should result in antibiotic treatment, and shows that prescribing amoxicillin for the most commonly used criteria to diagnose sinusitis was no better than a placebo (sugar pill). I imagine the signficance of this, considering that the average physician may see at least one case of these symptoms each week and the antibiotic cost yearly is $2.4 billion in the U.S. Not to mention that these antibiotics are now in our water supply. So I next went to Medline Plus, to the Sinusitis topic, to look for the information that says that antibiotics have no effect on the condition in most cases, and that diagnosis itself is questionable. No such mention. Is this surprising considering that the average piece of research takes 17 years to find its way into medical practice? I won’t go into why that is here; however, the point is that even the most infallible official resources can be fallible. All that this means is that we should always as “why?” and support our patients asking “why?” also. Of interest, I found out about this peer-reviewed study in the blogosphere, not on PubMed or Medline. We should leave the door open to the idea that patients may just help us reflect on better ways to treat them that are less costly and less harmful to themselves and the environment. It’s a continuous spectrum, not a binary switch. What about American Medical Association 2001? I also wanted to comment on Susannah’s use of the press release, which is very important and useful. We have to know where we came from so we can move ahead together. The same year that the press release came out, the American Medical Association also published another piece, “Geraghty K. Historical Postmortem, March 2001 (The Telephone). Jama 2001. (link fixed 03/13/08)” In that piece, my profession’s history with the telephone was discussed – it took 80 years for the telephone to become accepted in modern medicine. But it’s accepted now. And one day, the Internet will be, too. We’re really only 8 years into Internet-enabled health care (using my own organization as the example). What Susannah presented was what it was: American Medical Association 2001. That’s not the same as American Medical Association 2008. Organizations grow and change. I’m confident that the medical profession will grow and change and use the best tools out there to help our patients. We came from barbers, after all. And I’ve never met a physician that wanted to provide bad health care to their patients. 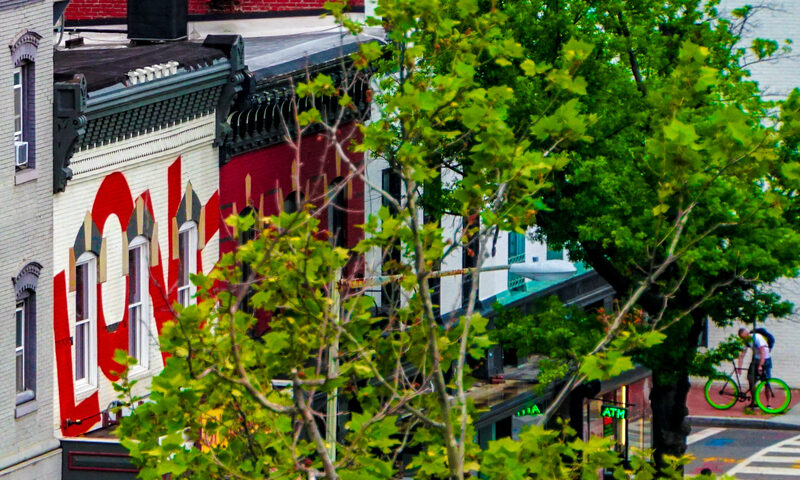 You asked "Why would a patient access information outside of their physician relationship?" Just follow carefully what more than 50,000 cancer patients and their caregivers discuss daily on the various ACOR lists. They communicate about what is important for them. They have the responsibility to maximize the quality of care they receive and they all know (don't we all know that simple fact) that health professionals just cannot do it alone any longer. The millions of Americans who communicate with their peers about shared medical conditions are ardent users of the knowledge of crowds and beneficiaries of the effects of participatory medicine. But so far they leave in a parallel word where very few health professionals have dared to interact. I hope this will change fast. There is much to gain in helping bridge these 2 parallel universes. I agree that there are many compelling reasons "why?" and the result is what people choose to do, and they do have a choice. Sometimes we forget that, right? It is what it is, and we should react by innovating. I'm pretty confident that more health professionals will interact and that the gap will be bridged. It's what our patients want. Good to meet you, Ted. I haven't met David Rothman (the kvetcher) but I'm pleased that his "I'm baffled" post is clearly open to dialog. I'll go suggest that he read my comment this morning on e-patients.net, which I provides my real-world examples of the principles laid out in the e-patient white paper.